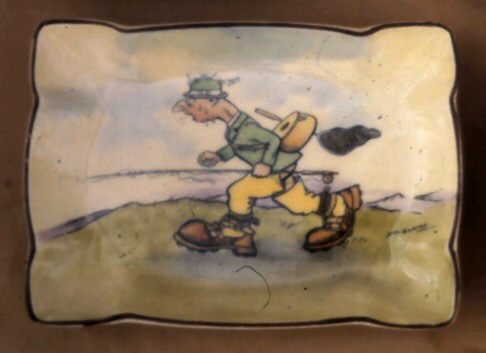 Collecting H. M. Bateman’s illustrations on Doulton seriesware! Henry Mayo Bateman was an Australian illustrator, most famous for his cartoons captioned ‘the man who….’. These illustrations featured a haphazard man who continually ‘puts his foot in it’ as we say here in the UK, meaning that he commits the most awkward gaffes! His cartoons were featured in leading magazines of the period including The Tatler and Sketch. 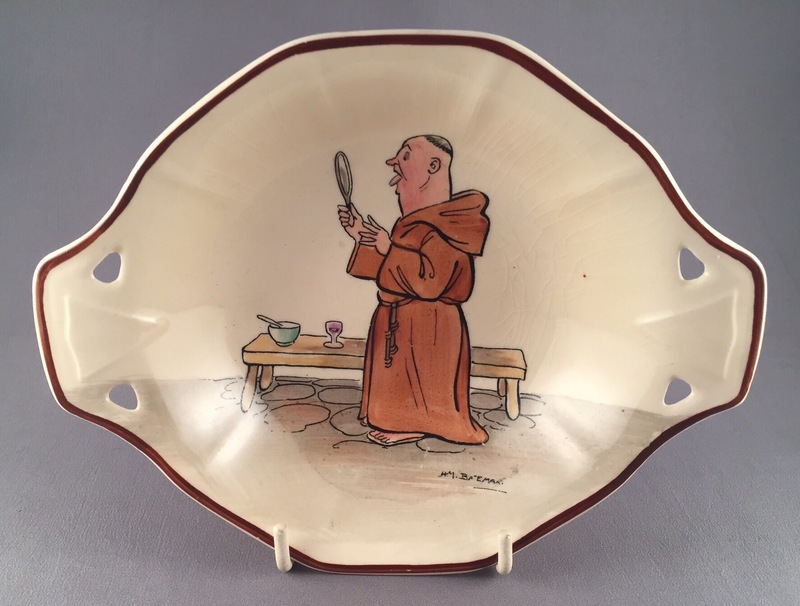 Returning to his seriesware illustrations they are termed as rare among collectors who appreciate the humour of his scenes and when they do turn up even on small items they regularly reach three figure sums! 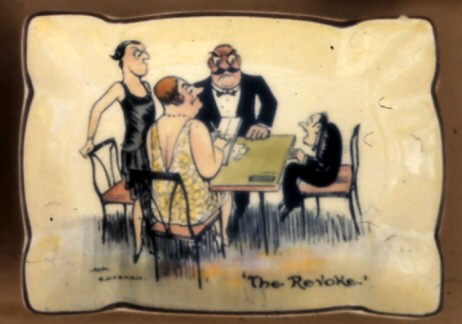 His designs on Doultonware feature a facsimile signature and from experience date to 1937-8. Previous PostDoulton Artist Profile – Katherine B. Smallfield. Next PostRoyal Doulton’s Helen, her origins and her successor!